So I think I have changed my mind. But after getting this beauty in the mail the other day, It's got to be included in the list. It may even be No. 1. I've been a huge fan of Thurman Munson's second-year card for a long time. It's so much better than any other card made in the 1970s. But I think there's a new (old) sheriff in town. And I think his name is Robin Roberts. How can I go wrong? 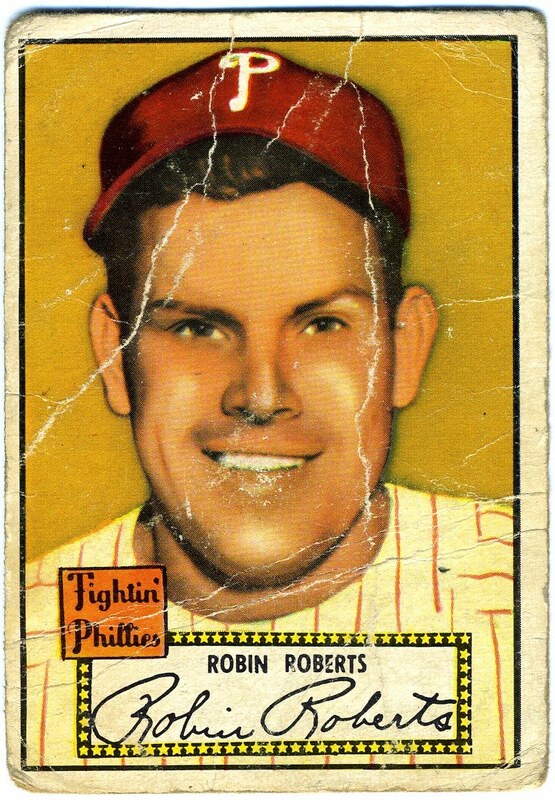 Not only is this card of a great Whiz Kid, but it's from 1952. It amazes me how this set continues to gain in popularity. Maybe it's because it's simply the best set ever made. There's my list, what's yours?